To find secondary sources in book form, search the library catalogs: OskiCat or MELVYL (about). To find articles that are secondary sources, search an article database, such as America: History and Life (US and Canada) or Historical Abstracts (world history). Where are Primary Sources at UCB? Primary sources may be physically located in any of a number of UC Berkeley Libraries, or they may be available online. BEFORE YOU GO: Search the library catalogs: OskiCat or MELVYL (about) to find the titles and call numbers of specific items. If you need to use manuscript collections, look to see if the collection has a finding aid. Some finding aids list the contents of collections, box by box, folder by folder; others are less detailed. Some finding aids are available online via the Online Archive of California (the primary source itself may or may not be available online). Please remember that not all primary sources are located in archives. Search the library catalogs: OskiCat or MELVYL (about) and article databases and ask for assistance. Patrick Breen diary: published as a book (one edition here, available to check out) and available online. Some historical newspapers and magazines (examples include: New York Times, San Francisco Chronicle, Harper’s Weekly, The Nation) –historical full text available through a UCB Library database. Online primary sources may be found via free web sites as well as via Library databases. Gather the information you have about your topic and consider what you still need to know before you start researching. You can use this information in searching for primary sources. Some Bancroft materials are available online via Calisphere, which includes primary sources from many California libraries and museums. 1. Be prepared! Read secondary sources and know something about your topic. 2. You must register with the Aeon software to use the Bancroft Library. You may register online in advance. 2. Search OskiCat You can limit your OskiCat search to find materials at the Bancroft Library, instead of all campus libraries (choose "Bancroft Library" from the pulldown menu that says "Entire Collection."). Remember that there are primary sources in many other campus libraries as well. Ask for assistance from a reference librarian. Once you have found an item you need, click on the BANCROFT REQUEST link to request the item through Aeon. If the OskiCat record mentions a "finding aid" (an index) to a manuscript collection, you should use it to help you find what you need in the collection. If the finding aid is online there will be a link from the OskiCat record, or you can search the Online Archive of California to find it. 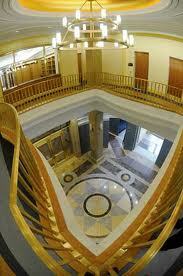 The finding aids that are not online are near the Registration desk at the Bancroft Library. 3. Plan your visit; you will need to bring current government-issued ID, call numbers, titles, etc. with you. You may find it convenient to bring a quarter for the lockers, and a digital camera/cameraphone. Read the Conditions of Use to learn what you can and cannot bring into the Bancroft Library. 4. You will need to use the Aeon system to request photocopies or scans, request permission to publish materials, etc. 5. While onsite, make requests to see items before 4:30 pm. 6. Ask for assistance at The Bancroft Library's reference desk, or request assistance by email.